Machine learning aims to extract knowledge from data, relying on fundamental concepts in computer science, statistics, probability and optimization. Learning algorithms enable a wide range of applications, from everyday tasks such as product recommendations and spam filtering to bleeding edge applications like self-driving cars and personalized medicine. In the age of ‘big data’, with datasets rapidly growing in size and complexity and cloud computing becoming more pervasive, machine learning techniques are fast becoming a core component of large-scale data processing pipelines. Very outdated course. These are the materials one can find all over the internet. Does not delve into nitty gritty and just uses some of the examples already on spark homepage. The course is a very good practical course on the ever-changing world of Bid Data ML. Great content that is quite good and easy to follow. This was a really great course. It was particularly interesting to see how familiar (albeit basic) machine learning techniques can be adapted to be able to handle big data problems. The labs are really hands on which is nice. One criticism is that because the labs are done entirely on the Databricks platform, the course does not teach you how you would go about implementing your own solutions (i.e. how you would set up your own Spark clusters). I am in love with the labs that this course offers you. 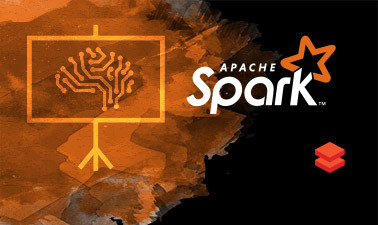 It is amazing to practice lambda functions and learn the way that dataframes work in Spark apart from learning to implement the distributed machine learning algorithm. I am really looking forward for the advanced version of this course. This is one of the must take course for the people who are looking to explore fundamentals of the Spark. Fantastic labs that show how distributed ML and DS can be done in practice. Really makes you go from data to solution and understand every step it takes. Great example of how ML pipelines can be built and the way of thinking one can use for that. Spark notebooks make it easy to visualize and incrementally build the solution. The course bought the best out of me. I had previous knowledge in Machine Learning, but this took it to a whole new level with scalable and distributed algorithms. I gained a lot out of it and this would surely be a milestone in my path to become a data scientist. It is a difficult course but every bit is worth it. I feel that I learnt something very useful. I think whoever aspires to get into data science/analysis should consider taking this class.